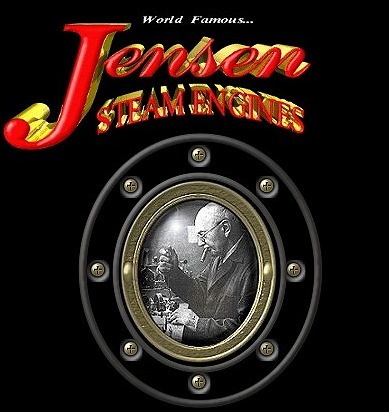 The free Jensen Classic Engines Screen Saver was created as a small token of our appreciation of our loyal fans, collectors and customers as a way to say thank you for sharing the Jensen Steam Family experience. It consists of photos of over 30 Classic Jensen steam engines from days gone by. Most are rare or usual and some are completely unique. Now you can have a Jensen Museum, to enjoy right on your very own computer, even when you haven't the time to visit with us online.